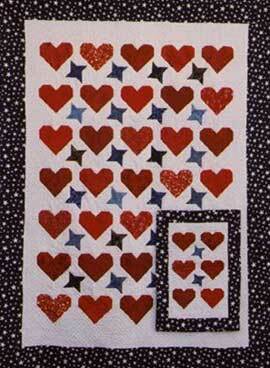 You can make this as a lap quilt or a wall hanging. It looks good in red, white and blue or sewn using fabric from your stash. The directions for both the wall hanging and lap quilt are included in this pattern. Price includes shipping and handling.